Named after its founder Emperor Charles IV of Luxembourg, the Charles University in Prague is one of the best universities in the Eastern Europe and is ranked in the top 300 universities in the world by the Times. 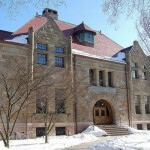 The university offers programs across a broad spectrum and has 17 different faculties, five of which are dedicated to the study of Medicine and three to the study of Theology. The remainder faculties at Charles university in Prague are dedicated to Education; Humanities; Law; Liberal arts; Mathematics and Physics; Pharmacy; Physical Education and Sport; Science; and the Social Sciences. Charles University Prague was founded in the mid 14th century; this makes it one of the oldest universities in the world, and as can be expected the university has been associated with many great alumni and faculty over the years including the Nobel prize winners Carl Ferdinand Cori, Gerty Cori and Jaroslav Heyrovský (Chemistry). Other notable people are mathematicians Eduard Čech, Vojtěch Jarník and Bernard Bolzano; writers Karel Čapek, Max Brod, Bohumil Hrabal and Miroslav Holub; and the scientists Albert Einstein, Nikola Tesla, Agustín Stahl and George Placzek. 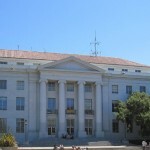 Similarly ranked universities (254th in the world) include University of Valencia, Washington State University, Zhejiang University, and the University of Liège.